Option A: 1x DC 3.5mm plug & 1x DC 5.5mm plug. 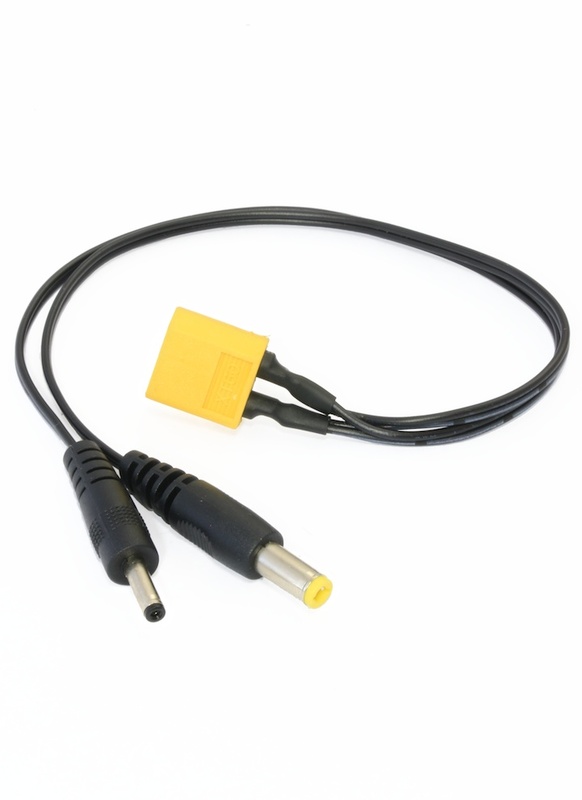 Option B: 2x DC 5.5mm plug. To power your devices it's simply a case of plugging this lead into an appropriate LiPo battery and then into your equipment. For equipment requiring 12 volts DC, typical of most FPV monitors and receivers a 3S LiPo would suit.